The artwork in the Diablo III 2012 Wall Calendar is spectacular. Each piece is incredibly detailed and done with a high level of skill. Every month, the art in the calendar makes me want to know more about the character it is depicting, the artist that created it, and the history of the artwork itself. Although I have fallen behind on this series of blogs, I haven’t given up yet. For the month of July, Blizzard selected an image of a skeletal, armor clad figure. He was wearing a crown, carrying a great big two-handed weapon, and looking out at use menacingly, (despite lacking eyes). His reanimated skull makes him appear to be grinning at us, and yet, I think we all know that this horrific figure not interested in making friends. Who is our “Mr. July”? 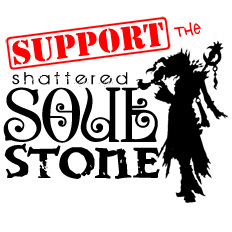 Players of Diablo III will immediately recognize “Mr. July” as none other than The Skeleton King. In game, you can find him somewhere in Act I, sitting on a giant throne, waiting for you to click on him and begin the battle. Once you do, he will stand up, and stretch, as a guitar rift appears in the background music. The first time I encountered The Skeleton King, I wondered if he was actually carrying a guitar instead of a gigantic two handed mace, and if he was getting ready to blow us out of the room from the sheer volume of the sound waves blasting at us from hidden speakers. Now, that would be an epic start to a battle! In the beta, the first time you beat The Skeleton King was exciting. 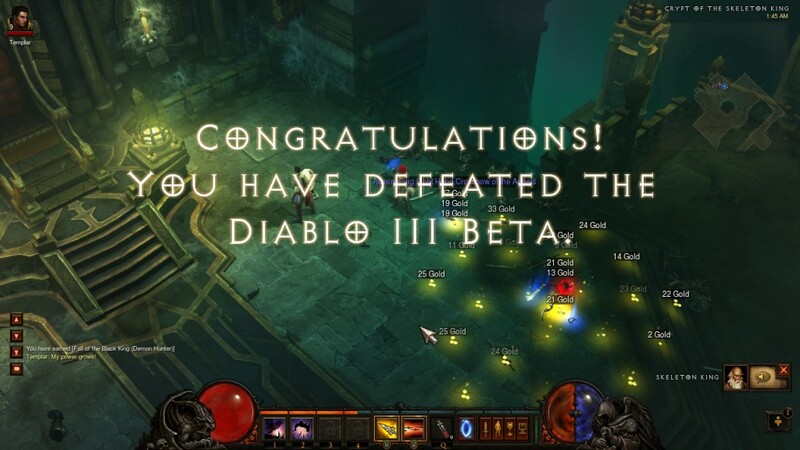 Not only did you kill the “big bad” of the beta, (and live to tell about it), you also “defeated the Diablo III beta”. I am absolutely overjoyed that I managed to get a screenshot of this before the beta ended. It was incredibly exciting to see the “Congratulations” text, in Diablo style font, appear on the screen. 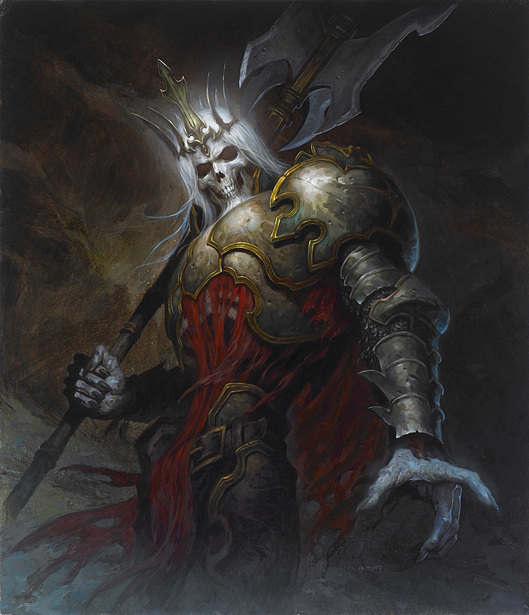 The Skeleton King was once a mortal man called King Leoric. Anyone who has played through the Diablo 3 beta, or who has made it through Act I of the game after it launched, could not help but pick up a little bit of the lore of this character. Those that wish to know more about him can find information in Diablo III: The Book of Cain in the chapter called “Modern History – The Darkening of Tristram”. Some of you may recall that The Skeleton King goes as far back as the original Diablo game. I remember entering King Leoric’s Tomb with my Rogue, and actually feeling scared when The Skeleton King started talking. This is not my video, (but it does bring back memories of playing Diablo until the sun came up). There is something else noteworthy about this particular piece of artwork. It was created by Brom. He is an amazing artist who has done other art for Blizzard’s Diablo games. Earlier this year, Blizzard selected another piece by Brom to be featured in the Diablo III 2012 Wall Calendar. His Tomb Viper was the artwork for the month of February. Brom is also listed as an Artist in the credits at the end of the Diablo III game.